The packaging closure is the primary interface between the product and the customer. Closures have undergone much evolution and development in recent years. The basic function of a closure is to allow easy access to a packaged product and to reclose the package, when the contents are not used fully in a single serve. However, closures are now expected to deliver a wide variety of additional functions, such as ensuring that the package has not been opened prior to the first opening by the consumer, facilitating the dispensing of the product (especially for food and pharmaceuticals) and supporting the brand equity value of the product. 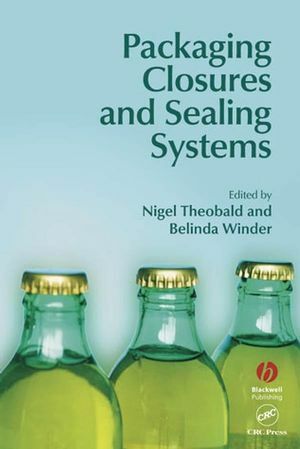 This volume considers the technologies relevant to packaging closures and sealing systems, structured by types of pack. It is directed at packaging technologists, those involved in the design and development of packaging and those who specify or purchase packaging. Nigel Theobald, Consultant to the Packaging Industry, Haltwhistle, Northumberland, UK. 2. Design of packaging closures. Belinda Winder, Department of Psychology, Nottingham Trent University, UK. 3. Closures for metal containers. Bev Page, Technical Consultant to the Packaging Industry, Ravenshead, Nottingham, UK. 4. Closures for glass containers. 5. Closures for composite containers. Victor Spong, Consultant to the Packaging Industry, Newcastle upon Tyne, UK. 6. Closures for plastics bottles and tubs. Richard Larbey, Packaging and Quality Consultant, Milton Keynes, Bucks, UK. 8. Closures for flexible packaging. John Durston, Amcor Flexibles, Bristol, UK. 9. Child Resistance, tamper evidence and openability. "Each chapter has been written by an authority within their own particular field, but the chapters have been written in such a way that they can be readily understood even by those with limited knowledge of the specialist area being discussed."